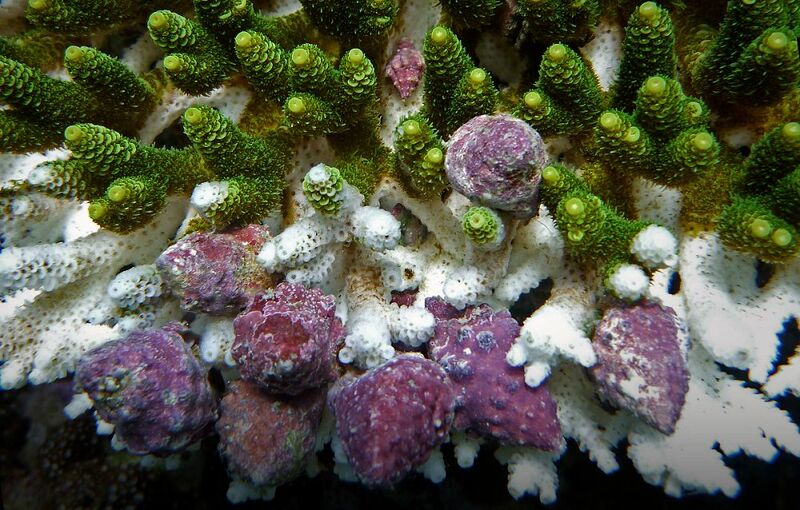 Elsewhere in the world, corals have been reduced to rubble, their once great carbonate structures being eroded by boring sponges and worms, whilst successive warming events and overfishing of herbivores has resulted in massive plant growth, suffocating what’s left of corals, and attracting opportunistic algae. The majority of Jamaica’s once spectacular reefs have been turned from ‘coral’ to ‘algal’. The temperature of the surrounding waters differs considerably from that of the Gulf of Arabia. 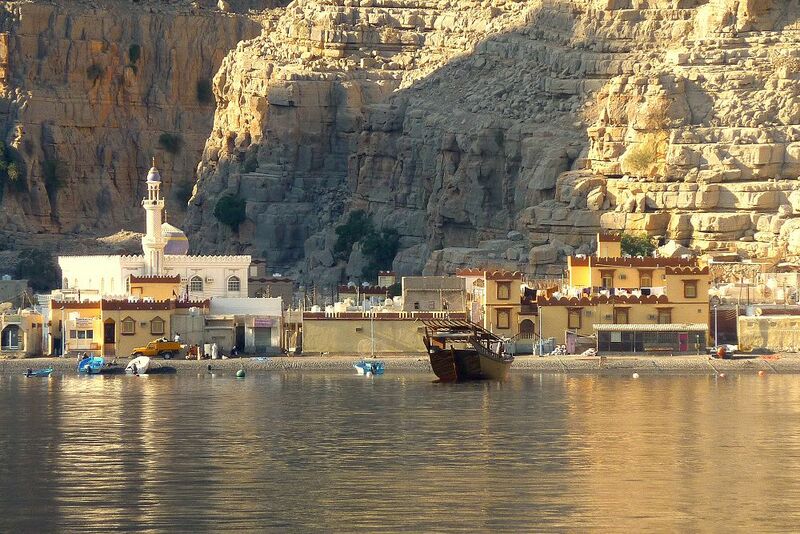 Musandam lies at the entrance of the gulf and is enriched by cool deep waters of the Gulf of Oman to the east. The current exchange between the waters of the gulf flowing over the reefs allow for currents to wash the reefs with clear waters, whilst the cooler water from the east prevents catastrophic climate effects. Furthermore, some of the corals have been seen to harbour temperature resistant algae, allowing greater resistance to bleaching. 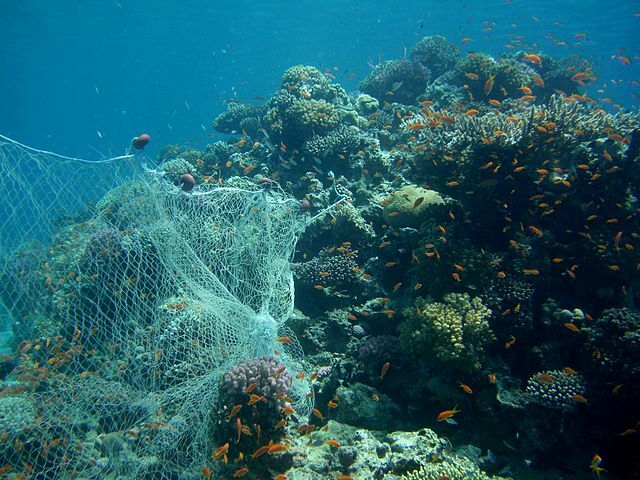 Whilst Musandams coral reefs are faring well, the fisheries of the area are being exploited at ever increasing effort. The most important commercial fish species of the reefs – grouper (hammour) are only ever recorded at 50 cm in size at very few more isolated sites. We recommend the development of an MPAs and minimum landing sizes for grouper to achieve a sustainable fishery, though none of this will change if it doesn’t have the support of the community. Jenan Alasfoor from the Environment Society of Oman, a scholar on this year’s expedition, knows too well that before any changes in fishing practices occur, full consultations with the local communities need to be undertaken. Our first dive survey went smoothly – reef sharks and an eagle ray spotted off transect – then we sailed to Faq al Asad (the jaw of the lion), a stunning site of crystal clear water, amazing rock formations, even dolphins! We ate our lunch and went for a snorkel to assess the reef, then kitted up as usual. The teams dived in and the invertebrate teams began to lay the transect. As they reached the end of the 10 0m and turned around to swim back to the start of the tape a freak current swept through the bay. The teams struggled back to find that the boat had completely swung on its anchor, one of the SMB’s marking the start of the transect had been swept away and air was running low. All was not lost, though, as we reeled the tapes back in and still had time to sail further round the peninsula with a pod of Arabian humpback dolphins at our bow, to a site aptly named “pray for calm.” It worked, and we managed to complete our survey just before dusk. 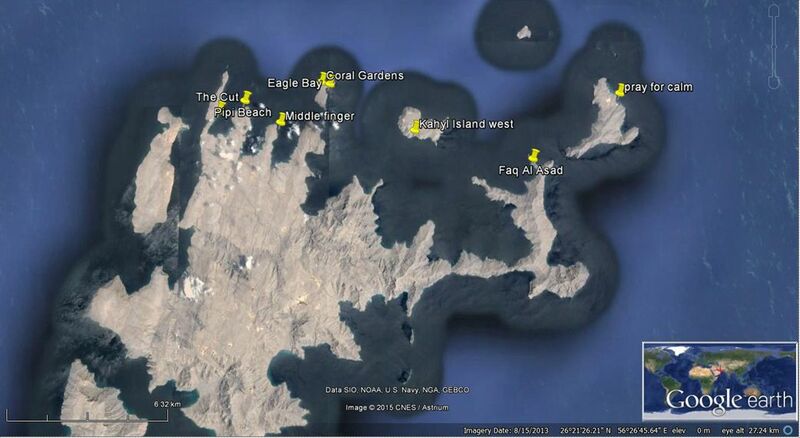 Not to be thwarted by the elements, we returned to Faq al Asad the following morning very early and collected the data we had missed the day before, then headed to Khayl Island for a glorious survey dive, complete with shipwreck. The site was so interesting we decided to stay for a night dive and explored the ancient porites mounds with their banded coral shrimp and moray eel inhabitants, with turtles, cuttlefish, giant porcupine fish and squid in the mix.After a scientific wrap-up from Jean-Luc, we moored away from any civilisation and spent our last peaceful night under the stars. A big thank you to everyone for all your hard work and attentiveness. It’s been a steep learning curve, so much to take in, both in and out of water, and your diligence in collecting the data, even in adverse conditions – swarms of jelly fish and flies – was much appreciated. This expedition has confirmed for us that the reefs here in Musandam really are resilient to the ravages of climate change, and offer an insight into another type of hardier reef that can withstand very significant temperature fluctuations. It may not be as colourful, or as varied as traditional coral reefs, but it has a much healthier future than most! Thank you also to Patrick for your retrieval skills – masks, fins, SMBs, plastic bags and even a cushion that got knocked overboard during a dawn yoga session! Thank you to the crew, who offered continuous support and demonstrated great expertise in getting us right where we wanted to be. Thank you all for your sense of curiosit, and enthusiasm for getting the work done. It was a pleasure working with you! 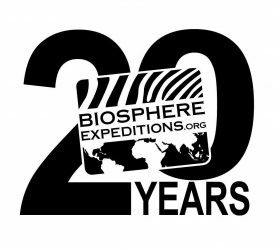 I hope you continue Reef Checking now you have your certification and look forward to meeting you again on another Biosphere Expeditions project. It’s been an eventful beginning to this year’s Musandam expedition – a tire on our trailer blew out as we were en route to Khasab, so we had to wait for another vehicle to transport all the kit. Arriving late at the harbour meant we had no time to spare if we wanted to complete our check dive before dark, though with an attentive team, and a competent skipper and his crew this was not an issue. 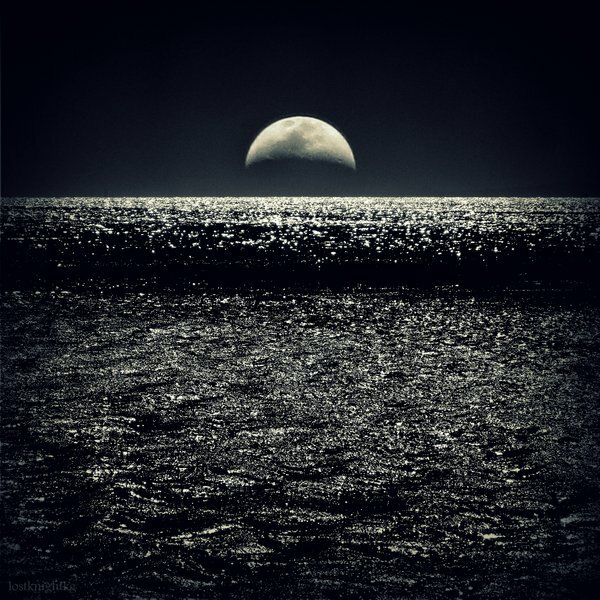 The dive went well and we relaxed to the light of a huge silvery moon. The next couple of days were taken up with Reef Check training. From dawn ’til dusk the team studied, dived, and took tests above and under water. The effort required was considerable but rewarding and by the afternoon of the third day everyone had passed all their tests and were fully qualified reef checkers. Well done! A great achievement for a team with an age range spanning 50 years! As a treat we took the speedboat and visited the local land-locked village of Kumzar, learning about the local customs and traditions from Yusef, our skipper. It is reassuring to see from our preliminary investigation that despite being flagged as a hot spot for coral bleaching, these corals seem to have adapted sufficiently to cope with such high temperatures. Not such good news is the first ever sighting on any Musandam expedition, of the coral-eating Drupella snail at, along with a proliferation of discarded fishing nets and lines. Reef Check veteran Ayesha managed to release two banner fish caught in a fish trap, though bat fish in another trap were not so fortunate. So with another five surveys ahead of us and the full moon tampering with the tide and currents, we still have very few full days ahead of us. But I have no doubt that if the last few days are anything to go by, the next will be filled with enthusiasm, hard work, and good humour. Hello and welcome to the first instalment of the Musandam diary. I am Catherine Edsell your leader for this year’s expedition to the Musandam Peninsula. I have led this expedition for the past three years and feel privileged to be able to take you to such a stunning environment – we have a great expedition ahead of us. I trust all your preparations are going well, and I look forward to meeting you in Dubai at 09:00 on 25 October in the foyer of the Holiday Inn Express Jumeirah, our departure point to the northernmost tip of Oman. It is our aim to replicate the surveys we performed in 2013 and 2011 as only by obtaining comparative data can we gain an insight into the true state of reef health. 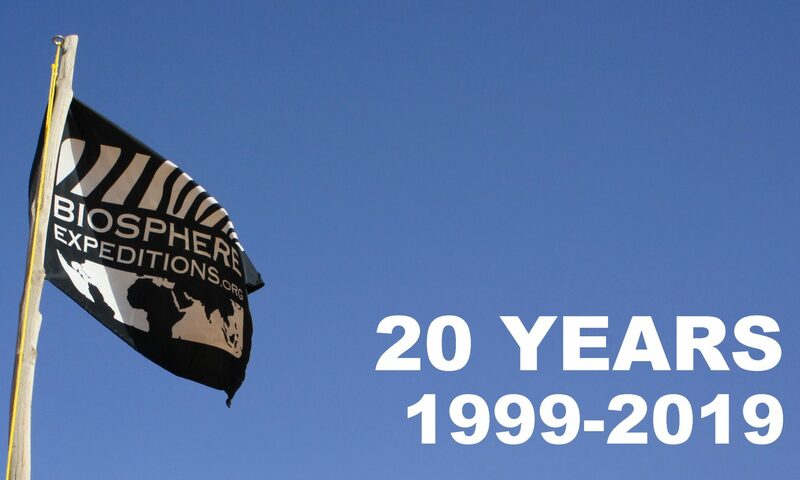 This year is an El Niño year. Sea surface temperatures are rising and as I write this, corals around the world are dying due to the intensity of this phenomenon. The temperature of the waters surrounding the Musandam Peninsula are always higher than the global average, making it a unique study site, as the corals here are already adapted to warmer temperatures. It will be interesting to document how much resilience they have and whether they are being affected. This is our quest. To be able to collect accurate data, Dr. Jean-Luc Solandt our expedition scientist, and I will first need to train you in Reef Check methodology, so please have a look at all the training materials available on our website (see your dossier for details), as the more familiar you are with the indicator species of fish and invertebrates and types of substrate we will be studying, the better!